by Charles E. Henderson, Ph.D. Ever get the feeling that something in you is broken? That maybe something is missing because you want to do right but just don’t seem to be able to? All of us feel that way sometimes. We’ve all be subjected to the kind of thinking that says if you want to do something, do it. Use your willpower, for cryin’ out loud. But there is a real problem with that cultural myth that is so prevalent in Western society. 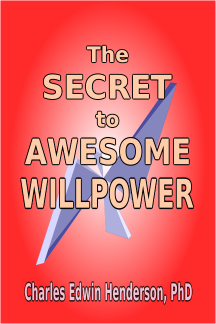 Willpower does not depend on inner strength as much as we’ve been told.